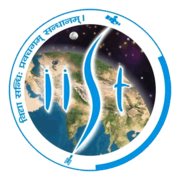 IIST Recruitment 2019 - Apply Online for Research / Project Fellow Post in IIST, Thiruvananthapuram, Kerala. Online Applications are invited by Indian Institute of Space Science and Technology (IIST) from 18 Apr 2019 04:00 PM to 06 May 2019 05:00 PM for 5 vacancies. 35 years as on 06 May 2019. M.Sc in Physics / Astrophysics / Astronomy / Space Science or (ii) B.S / M.S in Physics or equivalent or (iii) M.S in Astronomy & Astrophysics or (iv) B.E/ B.Tech / M.E / M.Tech degree (any branch) with UGC-CSIR National Eligibility Test in Physical Sciences or GATE / JEST score in Physics. M.S / M.Sc in Physics / Electronics / Space Physics / Space Sciences or related areas. M.E / M.Tech / M.S by research or equivalent in Electronics/ Communication / Electrical and Electronics/ Electronics and Communication / Communication Networks / Telecommunication / Signal Processing / Machine Learning / Computer Science/ Control Systems / System Science / Data Analysis or related areas. BE / B.Tech in Electronics or related areas. The selection will be on the basis of written test/ interview. Eligible candidates may apply online at IIST's website (direct link is given below) from 18 Apr 2019 04:00 PM to 06 May 2019 05:00 PM. Candidates log on to https://www.iist.ac.in/. Go to "Opportunities" & Select the desired post.